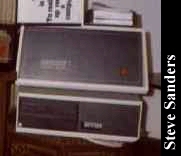 Pictured is a Morrow Decision I S-100 Bus computer complete with an 8" floppy drive/14" hard drive sub system. This is running a 64K CP/M OS of course. The single-sided 8" floppy disks could hold a whopping 340K of data a piece! And the Shuggart 14" hard drive took about five minutes to spin-up to operating speed before the heads would release for R/W action. The hard drive would also continue spinning for about ten minutes after you switched off the power (and the lights in the room returned to normal brightness once again). Click here to view all comments for the Morrow Decision I and to leave your own. 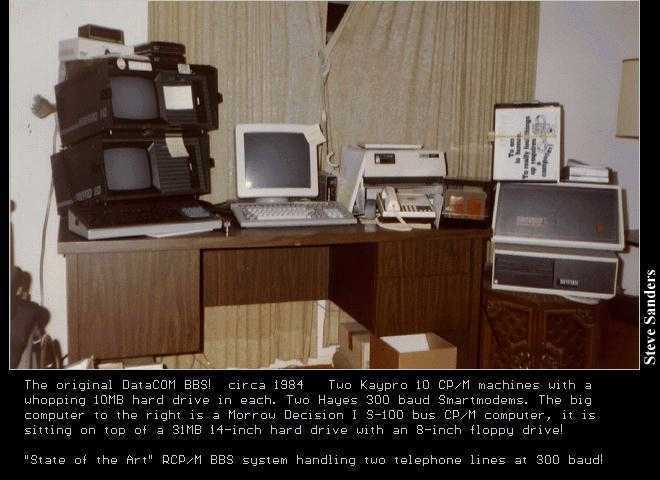 Click here to view comments about other Morrow computers.